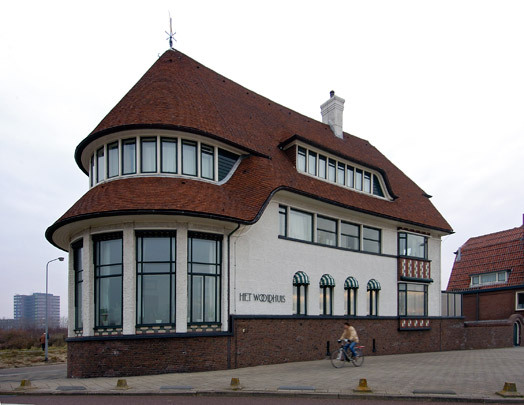 Built by the Hague architect Dirk Roosenburg at the behest of the burgomaster, C.A. van Woolderen, the Wooldhuis rounds off the development along the boulevard. Aside from the burgomaster's residence, it contains houses for a chauffeur and a servant. If its roof and flowing lines betray influences of the English country house style, the large steel-framed windows and rendered gravel-strewn outer walls show a certain allegiance to functionalist tenets.